‘The situation is very bad, we haven’t eaten since Thursday, until today. 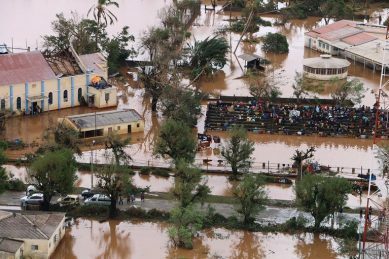 We are sleeping outside, everything is destroyed,’ said a survivor in Mozambique. 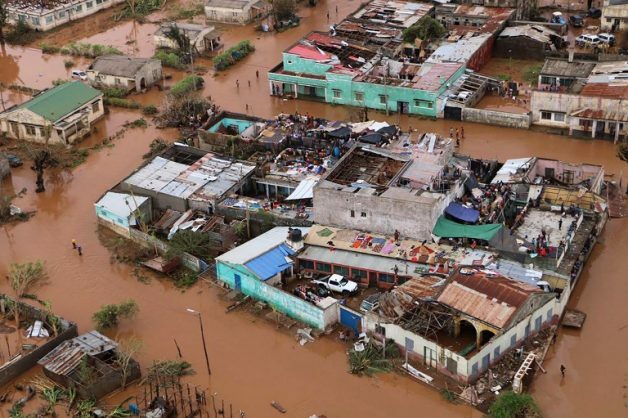 A cyclone that ravaged three southern African countries last week has officially killed at least 350 people, affected more than 1.7 million others and left 15,000 people still stranded by floods, according to estimates today. As the toll surged from the region’s biggest storm in years, the World Health Organization (WHO) announced plans to tackle an emerging threat to survivors from malaria and cholera. “Yesterday we had counted 15,000 people that still need rescue today — 15,000 people who are in bad shape. They are alive, we are communicating with them, delivering food, but we need to rescue them and take them out,” he told reporters. 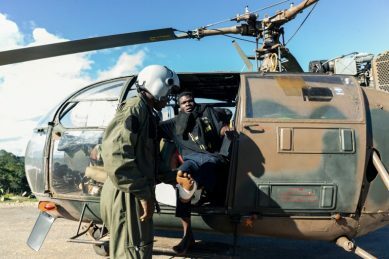 “Our priority now is to make sure we take food, shelter and medicine to the people that are isolated in small islands or in big islands and villages,” Correia said at Beira airport, the humanitarian relief coordination hub. 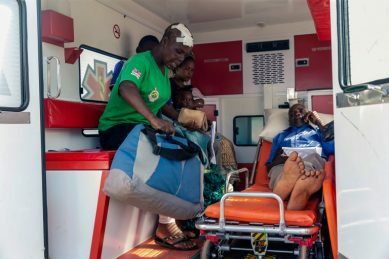 In Chimanimani, close to Zimbabwe’s border with Mozambique, “some 90 percent of the district has been significantly damaged,” Verhoosel said. 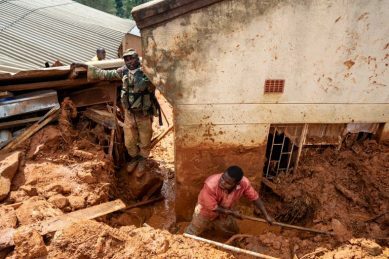 Roads had been gobbled up by massive sinkholes and bridges ripped to shreds by flash floods — a landscape that Zimbabwe’s acting defence minister Perrance Shiri, who is also agriculture minister, said “resembles the aftermath of a full-scale war”. 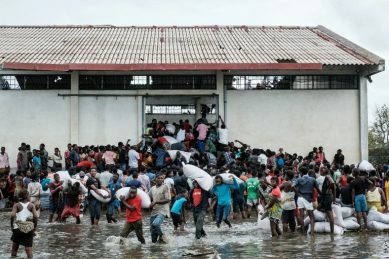 “The displacement of large numbers of people and the flooding triggered by Cyclone Idai significantly increases the risk of malaria, typhoid and cholera,” said Matshidiso Moeti, the agency’s regional director for Africa. “We do not yet know enough about the level of destruction to give an accurate estimate of the amount of this call for funds, but it will be important,” spokesman Farhan Haq said at UN headquarters in New York. Perched on the terraces of a sports stadium, scores of marooned people stare down at a basketball court filled with dirty brown water. 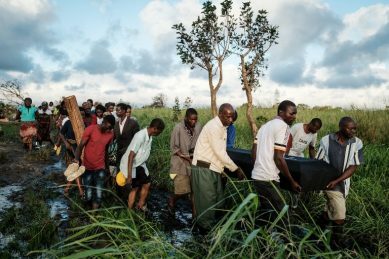 Six days after a vicious tropical storm tore through their neighbourhood in Buzi, central Mozambique, they remain trapped by flood water. A short distance away, another group is huddled together under an orange garden umbrella, on the roof of a church. Stranded residents are desperate to be evacuated, but food and clean water are even more pressing needs. “The situation is very bad, we haven’t eaten since Thursday, until today. 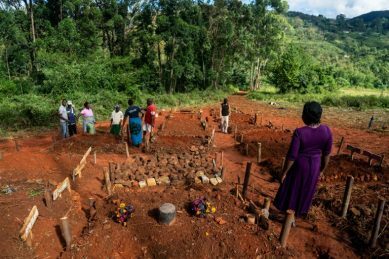 We are sleeping outside, everything is destroyed, our houses are destroyed, everything is gone, we have recovered nothing,” said Aunicia Jose, 24, speaking in Gwara-Gwara, near Buzi. 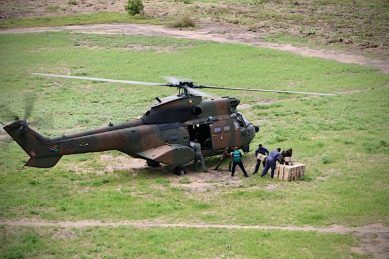 A mob of villagers rushed to an open space where a helicopter had just dropped food, an AFP reporter saw. 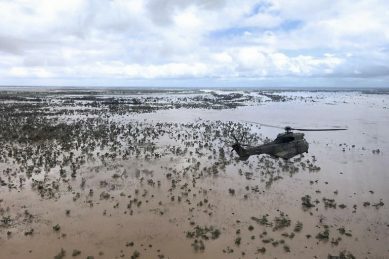 Joel Baertschi, a chopper pilot for a Christian humanitarian group, told AFP his organisation had flown in tonnes of food, sometimes plucking people from treetops and roofs, and was now setting up a camp for survivors. 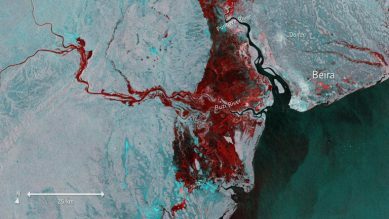 “We can tell clearly that there is a lot less water now. I reckon one to two metres (3.5 to seven feet) (down) although I am not an expert,” he said. He added: “Most of them were on rooftops or gathered on trees huddling into each other and today we actually saw (some of) them walking in Buzi.